This post was originally published here on September 21, 2015. I’ve since updated the text and photographs. This is a great vegan, gluten free soup to make when Summer produce is abundant and plentiful. I hope you try it out! It’s the first week of June and I’m posting a soup recipe. Does that seem weird to you? Maybe you were expecting something grilled? Perhaps a frozen treat? Or a fruity cocktail? But no. Instead, just as our Summer weather is starting to really ramp up, you’re being confronted with hot soup. I swear I’m not crazy. I just really love soup. Especially tomato soup. In the dead of Winter, when a ripe, juicy tomato feels like a distant memory from a past lifetime, you can still make a damn good tomato soup recipe with canned tomatoes and whatever root vegetables you happen to have rolling around in your refrigerator and/or pantry. Even the simplest of preparations can provide ultimate comfort and healing on the coldest of days. But in the Summer (SUMMER! ), when our gardens and farmer’s markets are exploding with seasonal produce, the opportunity to create a bright, cheery, fresh tomato soup recipe cannot be (and should not be) overlooked. 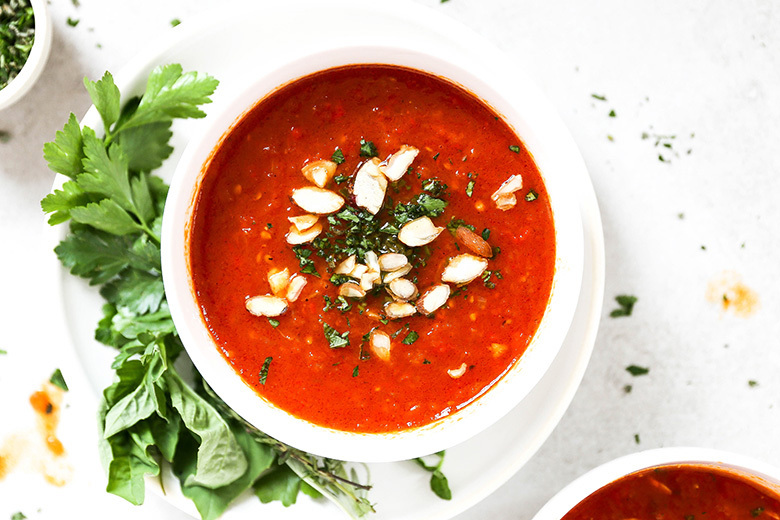 My Roasted Tomato and Red Pepper Soup with Fresh Herbs is exactly the tomato soup recipe that you’ll want to make all Summer long. It tastes like you took a bite out of a bountiful garden. Minus any annoyance of getting gritty soil stuck in your teeth (although, I do add some sliced almonds at the end for crunch!). I roast the tomatoes and red pepper to help deepen their natural flavors. And I’m not shy about sprinkling ALL THE HERBS on top. And you shouldn’t be either. Because they really make this dish pop. So don’t skip them! 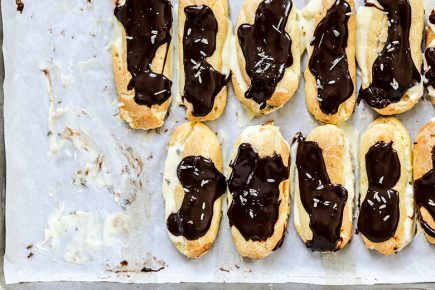 I do, however, skip out on the heavy cream in this recipe. Because I think it results in a “cleaner” final taste and allows the freshness of the produce to really shine. 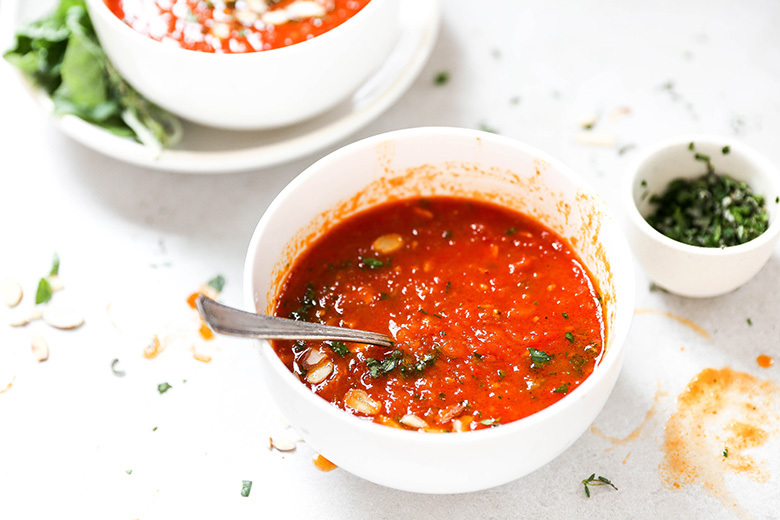 I typically serve this Roasted Tomato and Red Pepper Soup with Fresh Herbs warm. But if the weather is really oppressive, you can certainly enjoy it cold or at room temperature. I like to blend this soup using my food mill with the course disk attachment. I find it results in just the right level of texture. But I’ve also used my food processor with the blade attachment or my blender. Both appliances work great for this purpose. Just be aware that it’s easier to over blend when using a food processor or blender. So if you don’t want a completely puréed soup, make sure to stop and check on the progress periodically. Pre-heat your oven to 400 degrees. Cut the tomatoes in half lengthwise and place them in a 9 X 13-inch baking pan. Cut the red pepper in half, removing and discarding the stem and seeds, and add it to the baking pan. Drizzle the tomatoes and red pepper with 1/4 cup of the olive oil. Sprinkle with 1 tsp. each of the salt and pepper. 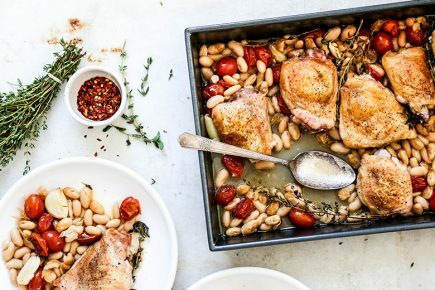 Transfer the baking pan to your pre-heated oven and roast for 45 minutes. Remove and set aside to cool slightly. Warm the remaining 2 tablespoons of olive oil in a large heavy bottom pot set over medium heat. Add the diced onion and sauté, stirring occasionally, until the onion is soft, about 5-8 minutes. Add the minced garlic, tomato paste and red pepper flakes and cook for 1-2 minutes more. Then add in the roasted tomatoes and red pepper (along with any accumulated juices in the baking pan), the vegetable stock, wine and bay leaf. Bring the soup to a boil. Then turn down the heat to maintain a simmer. Simmer, uncovered, for about 20 minutes. Remove the pot from the heat and set it aside to cool slightly. Remove and discard the bay leaf. Then blend the soup to your desired consistency, using either a food mill with the course disk attachment, a food processor with the blade attachment or a blender. Work in batches if necessary and use caution when transferring hot liquids. Add the blended soup back to it's pot to re-warm it before serving. To make the herb garnish, place all the herbs in a pile on your cutting board. Using a sharp knife, mince the herbs, going back and forth several times over the pile, until they are finely chopped. To serve, ladle the warm soup into bowls. Top with some of the herb garnish and sliced almonds, if desired. Enjoy immediately. Yaaaay for soup season! This gorgeous tomato soup is SERIOUSLY making me want to go whip up some grilled cheese and have tomato soup the *correct* way for lunch. 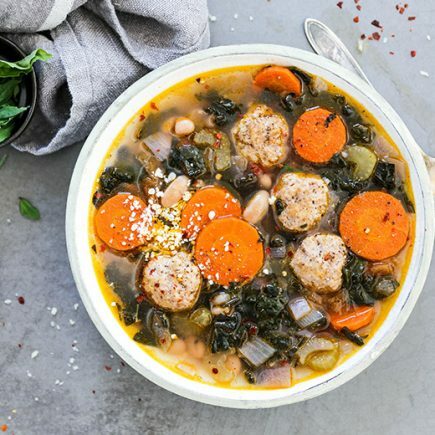 😉 Totally lovin’ all that fresh herb goodness you packed into this stunning soup! Oh yeah, gotta have a grilled cheese on the side! 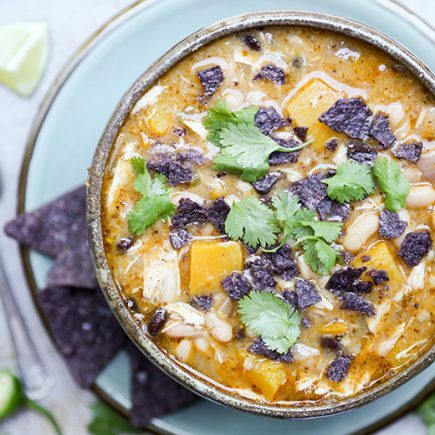 Yum, this soup is the perfect cozy meal for a chilly weeknight! Nothing better than tomato soup on a chilly fall night in my book Liz! They’ll be here before we know it! 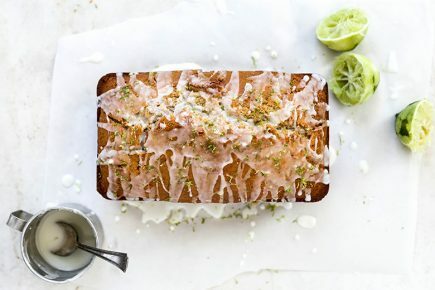 Love the herb sprinkle on top! Right? Finally a bit cooler today. But this weekend was HOT! I loooooooove tomato soup and am so happy soup season is upon us! I could sip on this delish soup out of one of those cool mugs all the live long day. Hope you had a great weekend! 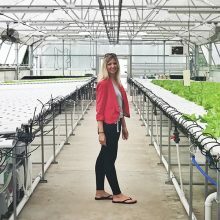 I’m a soup girl even on the hottest days of summer, so I’m SO excited to see soups making a comeback right now! This looks SO comforting, and so good, and even if it was a million degrees, I’d still down it. What a perfectly timed soup for the late summer/early fall transition! Love the flavors here and love that mug! The only free ceramics I get are from my mom, who takes a pottery class. Lucky for me, she’s pretty good! YES X 10000000000! 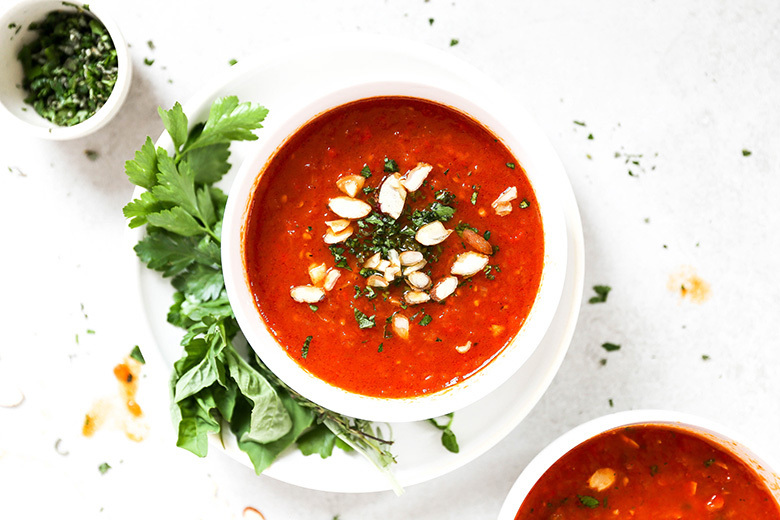 I am so ready for soup season and this roasted tomato and red pepper soup looks amazing. Also, the pottery, stunning! And P.P.S. totes agree with Kathryn on bourbon. word. Ha ha. Ok, let’s re-work the food pyramid to include a bourbon category! I’ll tell Michelle Obama to get on it! I am SO pumped that soup season is here, and more specifically that THIS soup is here! Tomato soup is a classic, and I am loving this roasted goodness! Pinned! Thanks, Taylor. Can never go wrong with a classic! 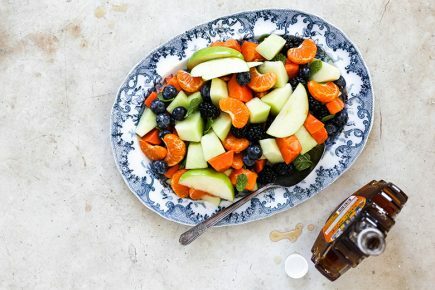 haha, I love that you are tentatively dipping your toes into cooler weather foods! just embrace it girl! 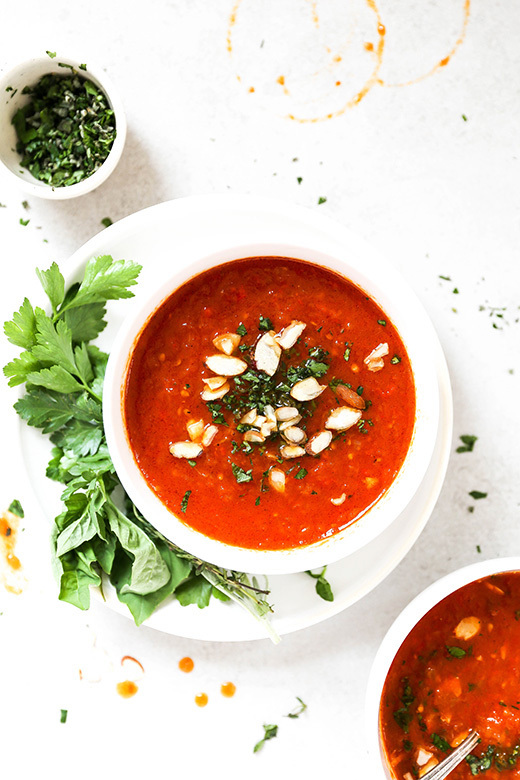 😛 Liz, this roasted tomato and red pepper soup looks so good and exactly what I want to be eating in the fall! love! and I love that soup cup from Lafayette Avenue Ceramics, so pretty! Yeah, I’m slow to start with the fall foods I guess. But I’ll catch up to everyone else eventually! Looks really delicious and warming! That cup looks sooo cute! Love the grooves in there for holding on to it! I feel like you read my mind with the tomato soup here. I have some HUGE cravings for it right now. I think I’m going to have action this later in the week!! I love soup season too, especially when they involve light, fresh ones like this beautiful little number! Roasted red pepper anything makes me giddy, but combined with tomatoes, fresh herbs and blitzed into soup form? Gahhh! Neeeeeeeed! Love love love! Oh, and those mugs? Tres chic!!! Pinned! Cheers, pretty! Aww…thanks, luv. You’re the best! Soup season is upon us and I can’t wait. Love that you are kickstarting it with this tomato and red pepper soup. I don’t even care that it’s been 100 here for the past week, I’ve gotta try this soon! This looks heavenly!! I could so go for a delicious bowl of soup right about now. Thanks, Liz! I hope you try it! I’m definitely in the mood for soup again but not the really heavy stuff quite yet! This soup sounds perfect! I love that you combined tomatoes and peppers in this soup — I have tons of both right now and this would be perfect! It’s supposed to cool down here tomorrow which makes soup sound even more good! Sounds like this soup is meant to be then! Love soup especially once the weather gets cooler! 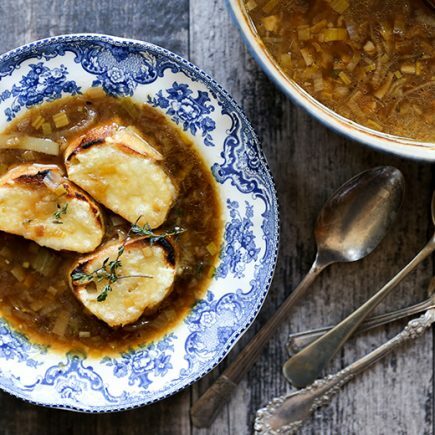 This lighter soup sounds perfect for this time of year! The color is just gorgeous! Thanks for the sweet compliment, Kelly! Love the herbs! 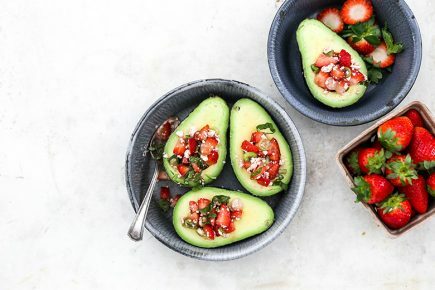 This looks delicious- pinning! I have to agree with you! I not only loooooooooooooove to eat soup, but I also love to make soup. There’s something about the magic of the gazillion possibilities and versatility that appeals to me. It’s such a comfort food. As a matter of fact, I could live on soup if I had to and I just love what you did here with this roasted tomato soup set in those gorgeous cups! Thanks so much for the great compliments, Emilie! I love you for continuing to celebrate summer! I’ve been dabbling in pumpkin, but I know I’m going to miss these bright flavors! Oh yeah, I’m holding on just a teeny bit longer! I hope it cools down for you soon. We finally got a burst of chilly weather here and it’s so nice and refreshing! This is my favorite type of soup. Warm, light, but still has a heartiness to it that leaves you feeling satisfied. This morning, it was actually chilly enough for me to need a cardigan and scarf. Progress! Yeah it got chilly suddenly here too. Feels good! Never weird, Liz! Like you, I love it year round, especially when tomatoes are at their peak! I love your update and this soup! Just gorgeous! 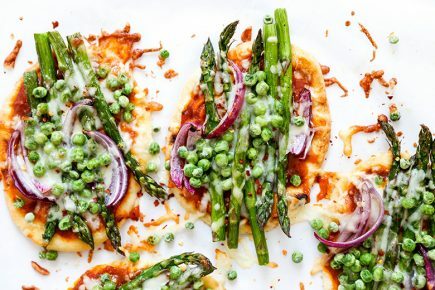 Such a great way to use up lots of Summer produce! What a fabulous soup for all those gorgeous summer veggies Liz! I enjoy soup all year long, so I’ll definitely be giving your recipe a go. I just want to grab that spoon off my screen and dig in! Let me know if you try it out, Mary Ann! That color is ridiculously amazing!! Definitely a good one to double up on and freeze!